How does Spain Costas work? We will see your property and explain how we work and how much you save selling with us. Our professional real estate photographer will make a photo shoot to make our advertisement more attractive and show potential clients the key advantages of the property. 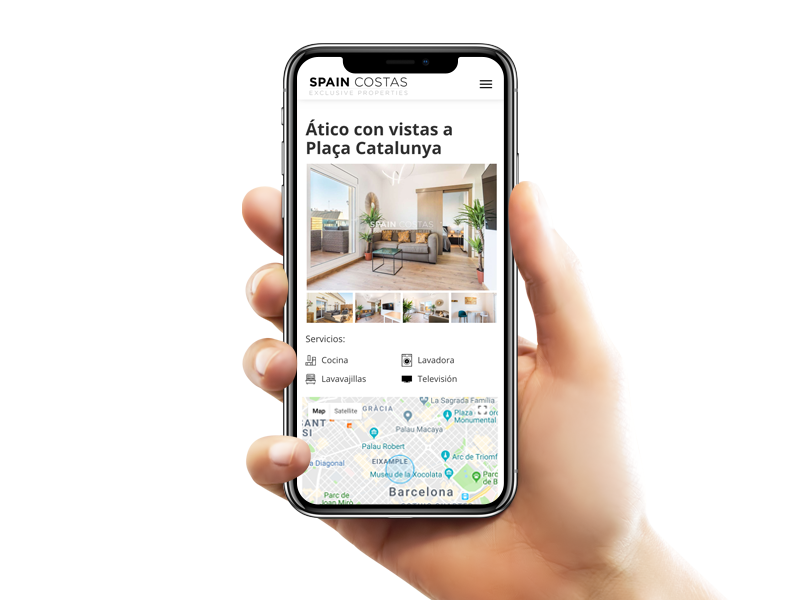 Our editors prepare an attractive description of your property, they also translate it into the most demanded foreign languages among potential buyers. When the text is ready, we publish the announcement in the leading national and international portals. Before scheduling any visit, we make a pre-filtering of requests, we only arrange viewings with clients really interested in your property. This helps to walk away from prospective clients and save time. We are in contact every day of the week to clarify any doubt during the process of selling your property. Our team will advise you on all the legal issues that may arise during the purchase process. We help you prepare the documentation so that the purchase process is comfortable and safe. Especially we will dedicate more time on cases with mortgages, inheritances, etc. Our professional will prepare the signature of sale of your property with the notary you choose, we also accompany you to the signature.